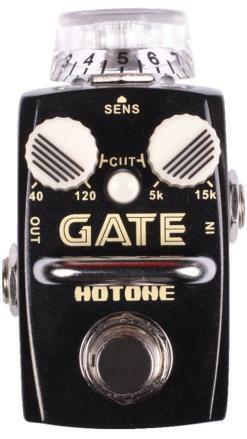 Hotone GATE is a true-bypass designed noise reduction stompbox for guitarists and bassists. 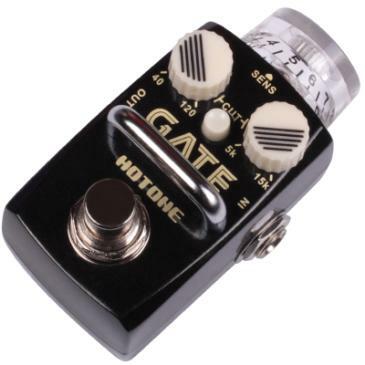 No matter what kind of style you are playing, this tiny pedal will effectively keep noise and hum away from your pedalboard without changing your own tone. The CUT button enables a harder noise reduction mode, which provides a low cut filter (from 40Hz to 120Hz) and a high cut filter (from 5kHz to 15kHz) adjustable by the two small knobs onboard. It’s time to get rid of the annoying hum and noise----Keep your pedalboard pure!